The Huacao Crafts and Arts Gallery will open to the public on April 20, displaying the town’s rich heritage of folk art. 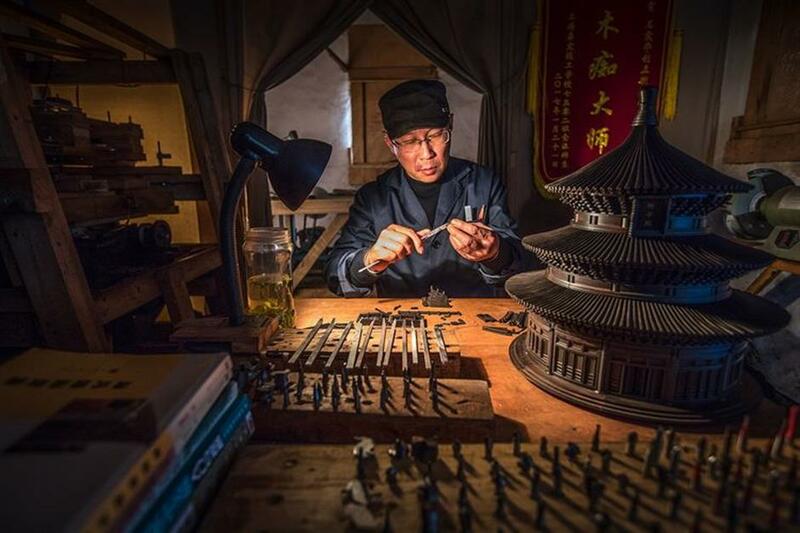 Huacao has a long history of fine craftsmanship, including lacquerware, ancient instruments and miniature models of ancient architecture. The gallery will also display rock carving and Wumen Bridge silk from Suzhou. Craft master displaying the making of miniature modeling. 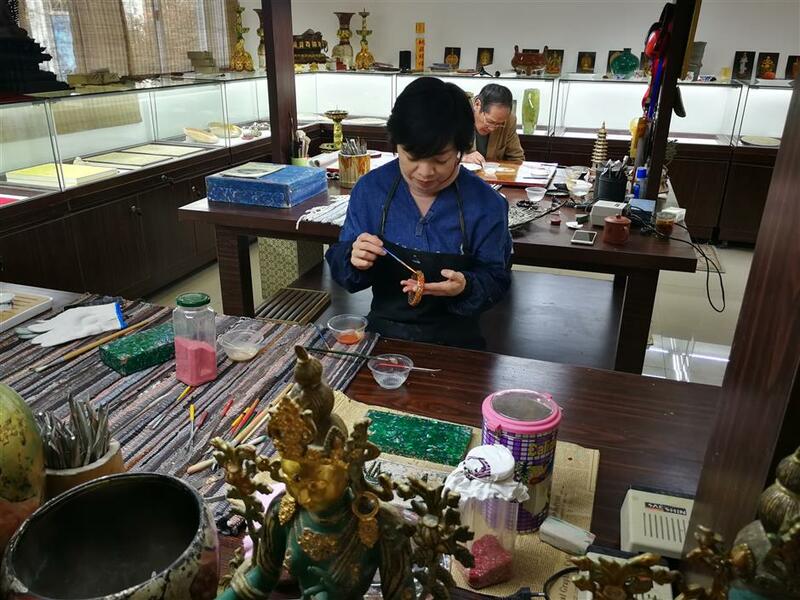 The first floor of the gallery will be devoted to Chinese lacquerware, a form of decorative, protective sealing that features figures and scenes from literature and mythology. The second floor will feature a collection of huqin, a family of two-stringed instruments used in Chinese traditional music. It comes from the collection of Jiang Guocui. There will also be stone carvings on that floor. The third floor will focus on purple clay sculpture, among other art forms. And the fourth floor will be a workshop for people — especially young people — to learn about craftwork in clay, marbled ink and fabric art known as barbola. Song Fei, associate dean of China Conservatory of Music, visited the gallery before public opening and said she was impressed by what she saw. the instrument later gained popularity nationwide. The instrument’s sound box can be round, hexagonal or octagonal. It is attached to a long neck. One of the most common varieties of huqin is the erhu, which is tuned to a middle range of notes. Min Huifen, who has been playing the erhu for 20 years, said she is not aware of any collector other than Jiang who has collected a whole line of the instrument. Jiang, who fell in love with huqin as a child, was such an avid collector that he turned his house into an exhibition center. 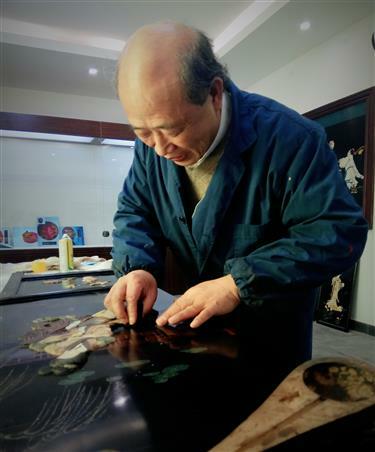 He started to repair huqin three years ago, fearing that the old skill might be lost. “The art of making the head of one type of erhu can be traced back to the age of Zhou Shaomei, a master of the last century,” said Jiang. The Huacao Crafts and Arts Gallery is located alongside the Huacao Community School on Huajiang Road. The government allocated two million yuan (US$31.65 million) for construction of the gallery. 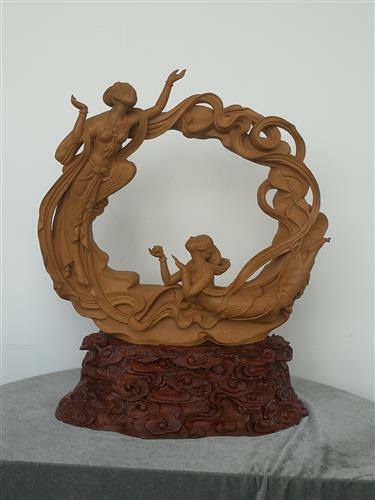 Another important artisan featured in the gallery is Zhang Yongqian, whose specialty is purple clay sculpture. His hollowed-out sculptures look so smooth that viewers mistakenly assume it’s an easy craft to master. Zhang’s works are inspired by his life experience and emotions. His work “Spring” features two dancing fairies holding flowers. “I try to use traditional or historical figures to tell stories relevant to contemporary life,” he said. His work “The Fake One Can Never Be Real” is an introspection on a society filled with lies and deceit. He sculpted two figures of Li Kui, a figure that stands for justice in “Water Margin,” one of the four great novels of Chinese literature. Zhang and other artists in the gallery will be on hand at times to demonstrate their art to visitors. The museum will also serve as a center for educating the public on the tradition of Chinese lacquerware.